Audiogames is an arsgames poject. Estereotips is one of the founders and coordinator of the project. Audiogames is an experimental video game installation. Audiogames is a technologic playground not sight-oriented in which sense of hearing and ability to listen is the privileged way to interact. The player moves in a 6X4m space interacting with a binaural sound engine in real-time. 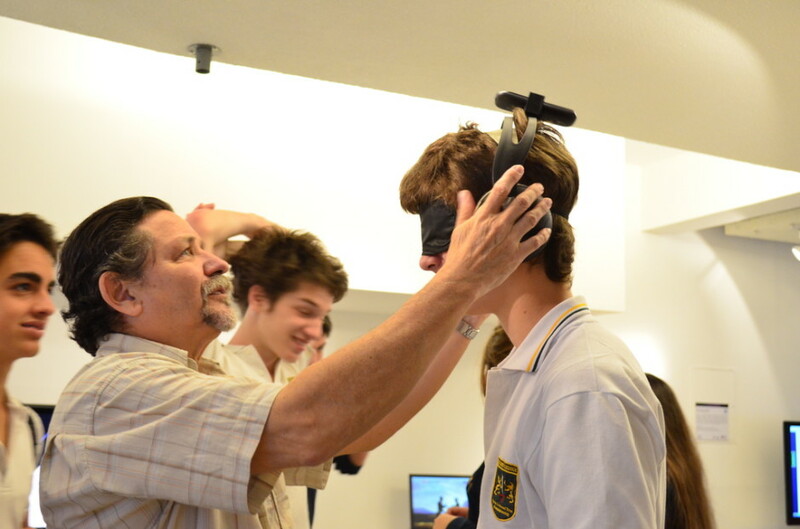 AudioGames is an attempt to build a common game space where both blind and sighted people can play together. Audiogames goal is to play digital games without using the sense of sight. The goal of the game is to catch all the virtual sound objects until the last level. Each object generates a different musical note in a binaural sound engine and when player collides with one of them this bounce around the game space generating a real time sound composition. Once player got the bonus, the higher note in game, sound objects will disappear if touched. By the contrary, the lowest note in game will ends the game. If players walks out from game area all the sound will stops and a sound of electric show will alert him/she. Our first goal has been generate an interactive space where user can experiment and play basing on sense of hearing. Audiogames is an artistic video game that leaves aside images to underline the sound dimension: it represents to us a critical approach to our image centered contemporary society. This approach to video game will let to play blind people as ordinary user making no difference between different skilled players. With audiogames we are exploring the idea of inclusive gameplay in which normal and disabled people can both play computer game together due the specificness of the game itself or of the interface. We created a new type of technological interface: an intangible and invisible one totally different to what we are use to. We believe is very important experiment with different kinds of technological interfaces and gameplays more over classical ones, sight oriented, with the goal to include blind people as players and to let classical players live new game’s experience and cultivate own sound perception. The game area is about 6x4m. 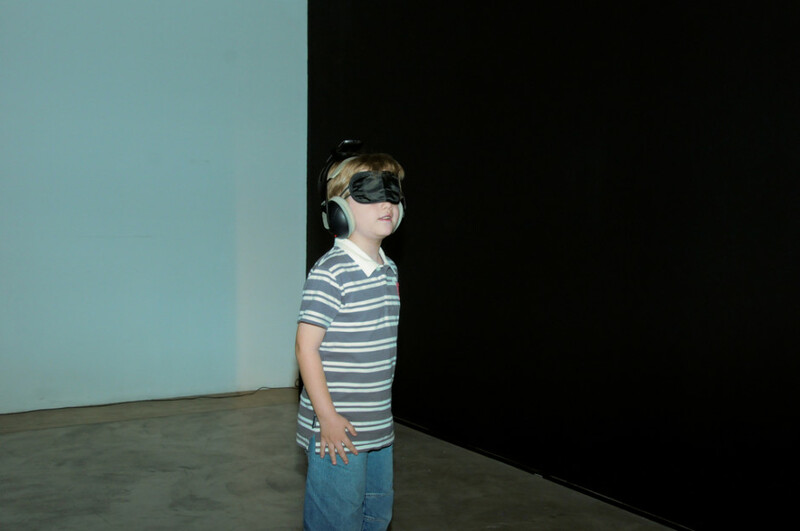 The user, who can be blind, moves around a virtual and real space, while the audience can watch the interaction with sound objects in a screen located outside the game area..
User’s position in the space is detected by custom made tracking software creating an interaction between virtual and real world. All the sound information is sent back to the player through wireless headphones. We also wrote a custom software based on binaural sound synthesis principles generating a real time sound world where user can freely moves and interacts.